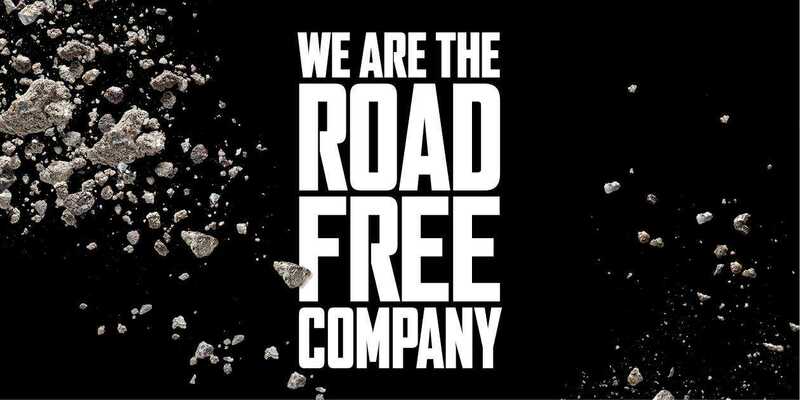 Yes, Road Free means we focus on serving customers who work and play on surface that is not a road. Most of our major competitors produce and sell tires for cars and trucks. At Camso, this is not part of our focus. Our leadership and expert teams are not distracted by the car and truck markets; they put all their effort, imagination and perseverance to achieve greater results in the material handling, construction, agriculture and powersports markets. Yes, Road Free means we are not attracted by traffic jams. A lot of our facilities are on the outskirts, to better serve our customers. For example, we're located in Magog - instead of major urban centers like Montréal. We're in Charlotte not New York, Cardiff not London, Ozzero not Milan, Duisburg not Berlin, Ekala and Midigama not Colombo. Yes, Road Free means we are allowed to think outside of the ... road. When someone chooses to work with us, he or she joins a team that's always on the move to achieve its dream. Together we define our goals but it's up to them to find the way that's right. Yes, Road Free means that every day, we ask ourselves: is there a better way? Sure. You might have read this before. But at Camso, we are industrious; we follow through on what we promise. This probably has something to do with the fact that our top line grew more than 10 folds in the last 15 years. But first and foremost, Road Free means we needed to free ourselves from the road: to produce enhanced tires, tracks and track systems meant for the off-the-road business. Does it mean we never think about the road? The answer is: only when the needs of our off-the-road customers demand it. For example, while farms are growing, our clients need to take their machine on the road to go from one field to another. Road Free. We focus on where there's no pavement.